It is a known fact that sales are important, but what's major for any business are the monetary outgoings and incomings. Hence, payment reports come into the picture. 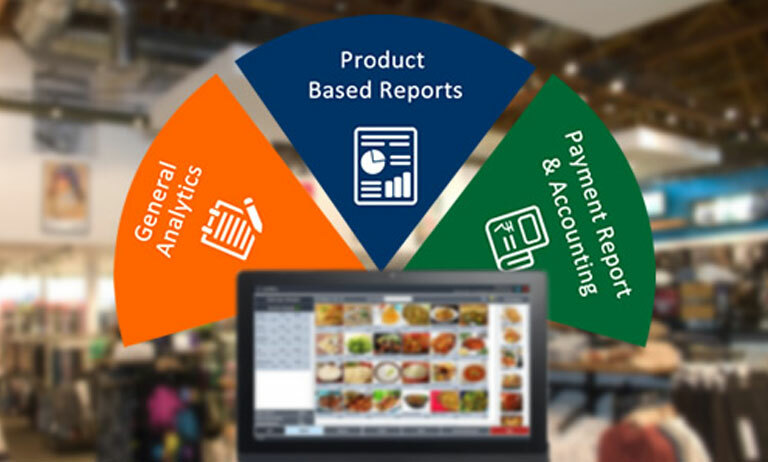 Retail Shop software enabled with payment reports help you keep a track and analysis of cash flows, which can help you to detect any flaws, frauds, and errors, hence creating a transparent system. It will help you keep an eye on cash events, payment methods, taxes paid and employee payouts. Hence you can now figure out what discounts and schemes you can launch in your retail business based on payment data. You need to take care of everything, from refunds to credits and to employee paycheck here, because down the line, it is the monetary profit which will keep your value or stand in the market. It is one thing to have an overall summary of sales for a given week or month. But, in some cases where careful insights on everything you sell and sold is required, in order to seek if any particular product isn't making loopholes of losses in your business. So, product based reports are needed to check which is the most sold or the best product you have and which hasn't been bought even once. Hence you can decide on what to order for the next tenure. The report like these helps you to identify your trends, follow-ups and what to sell and what not to. So, getting your stock updated according to the sales in the past will definitely help you gain profit from the market. Modern billing software for retail shops include all these facilities. Knowing what you have, what you don't, which product is giving you profit and which hasn't been sold lately, is what gives you the proper understanding of your business and help you enhance what you are in the future. Now, if you have a bigger firm, or a number of firms, the owner or even the higher authorities can't look into each and every details. To run a business, especially with partnerships, you need to have a generalized report covering all sections briefly. You won't get time to look into each and every details all the time. These reports give you a general summary of the POS software system dashboard or paper report or even on your smartphone if it is based on the cloud. It contains quick looks on the facts like net sales, total transactions, invoices, deposits, and outgoings. Sometimes, these are also sufficient to get an overall view on the problems, if any. So, to conclude, we have been living in the world of business for a long long time. What changed is the value of the customer, the value of facts. Traditional occupancies have been replaced by creative methods to indulge people. Feedbacks from reports generated by the retail software, have changed the course of action of many businesses in the past decade and hence have reflected in their performance in the real world.